This website provides access to instructional resources (PowerPoint presentations, student exercises and videos) useful for teaching introductory courses (and course modules) in remote sensing and for integrating remote sensing in in geospatial programs. The resources were developed by two consecutive projects, with funding from the National Science Foundation's Advanced Technological Education Program to the National Council for Geographic Education. 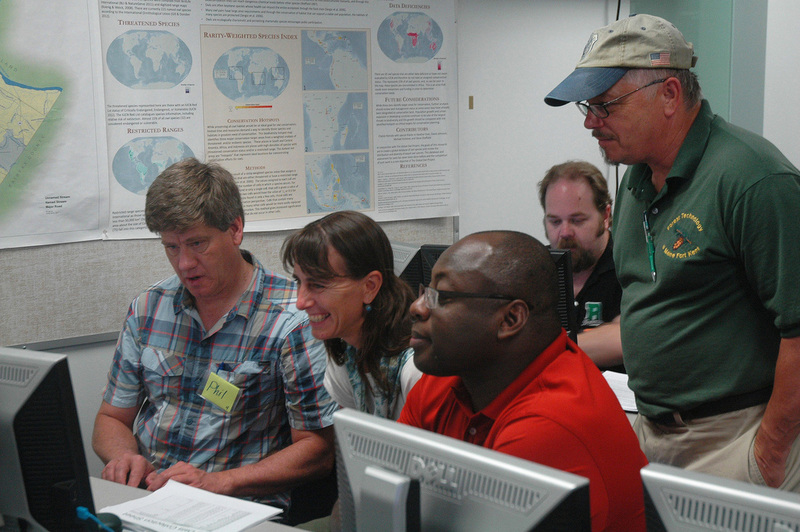 Integrated Geospatial Education and Technology Training (iGETT) was funded in 2007 and iGETT: Remote Sensing in 2012 (award numbers DUE 0703185 and 1205069). The second project addressed specific newly identified workforce competencies for remote sensing technicians. The projects were designed to help meet the demand for modern technician-level geospatial technology education by providing both instructional resources and professional development, with a special focus on the needs of two-year colleges. To date, 78 faculty from across the country have participated in the program, which includes two summer institutes and regular webinars over an 18-month period. The participants develop the student exercises and videos, with guidance from the staff, as their culminating experience with the project. The last of four faculty cohorts will complete the project in 2015, and their contributions will be added to the website as they are finalized.